Shipping rules tell Veeqo which shipping company and service to apply to new orders when they arrive. At the moment this only works for Royal Mail, but it will be coming to our other shipping integrations soon. 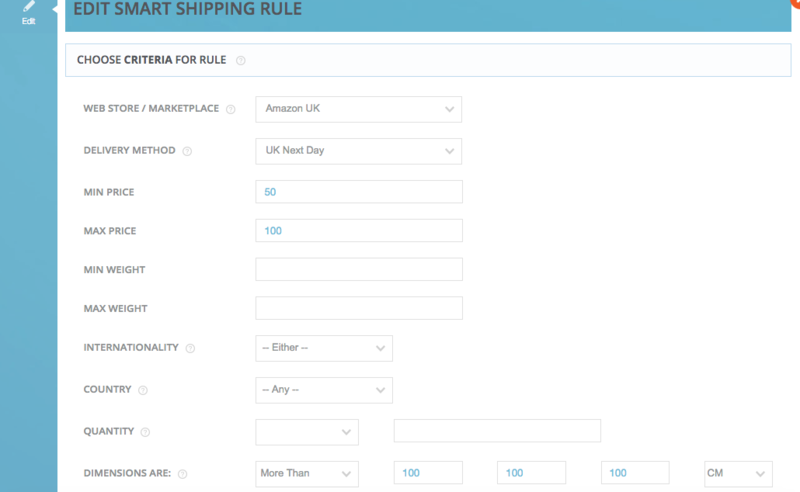 If you want to read more about how shipping rules work in Veeqo, click here. 2. 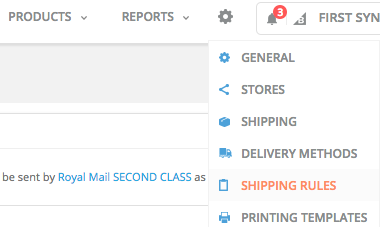 Click New Shipping rule button. If the order has come from "Amazon UK Store"
Delivery Method attached to the order is "UK Next Day"
4. Choose service to be applied to orders falling within above parameters and click Save.